The Nigerian Army has cautioned unsuspecting citizens to be wary of fraudsters who might want to swindle them in the name of joining the service. 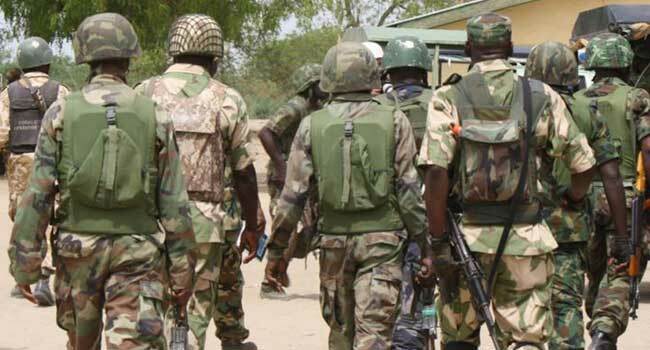 Director Army Public Relations, Brigadier General Texas Chukwu, gave the caution on Monday in a statement posted on the Army’s twitter handle. He noted that no fee is required for prospective candidates to be recruited into the Army and no intermediary is needed also. Brigadier General Texas Chukwu also distanced the Army from reports that they are embarking on replacement of candidates. The statement read, “The attention of the Nigerian Army has been drawn to the activities of a syndicate trying to defraud members of the public of their hard-earned money through alleged recruitment into the Nigerian Army. “The Army wishes to state that recruitment into the Nigerian Army is free and no intermediary is required before being recruited into the Army. “The Army is not embarking on any replacement of any candidate for whatever reason as claimed by the said publication.